The CH Consulting Group approach provides more than just consulting services; we deliver expert guidance and proven results. CH Consulting Group understands that engine that gets your business moving is built from its people, processes, and technology. When one part is not functioning properly, it affects your business as a whole and can negatively impact the customer experience and your bottom line. Our process is tried, tested and proven to yield amazing results for our clients over the years. 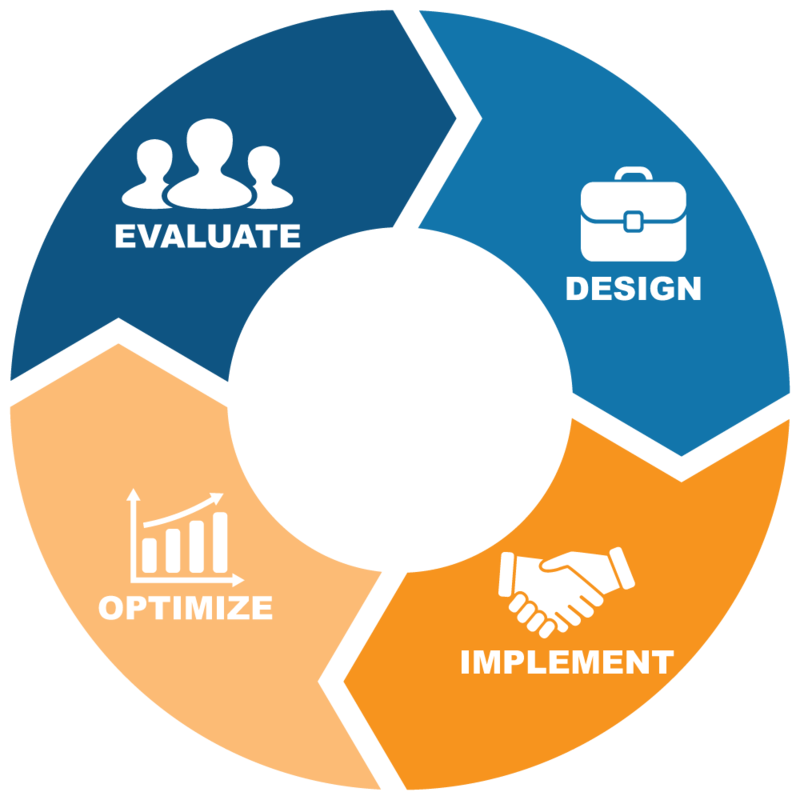 We always start with a thorough evaluation of your organization which in turn provides us with the insight we need to design and implement the solution(s) that are essential to the optimization of your contact center(s). Through our simple yet effective process, we have saved our clients millions of dollars, increased efficiency and generated considerable ROI. For a closer look, check out our case studies here. We start with a detailed evaluation of your current contact center environment – using either our 360 View Assessment or 360 Lite Assessment. If you are looking for a more focused evaluation of your Customer Experience strategy, we can assist with a Customer Experience Report Card. We also offer Contact Center Due Diligence Checklist services for organizations that are looking to acquire contact centers. Based on findings during the assessment, we can design a customized roadmap for the desired future state. Services include Contact Center Strategy Design, Custom Training Programs, Custom QA Programs, Contact Center IT Architecture, SOP Documentation, and User & Vendor Requirements Documentation. We can help you implement strategic sourcing initiatives for your contact center. This can include Contact Center Technology or BPO Vendor Selection, Interim Leadership, Contact Center Recruiting, and Buyer & Seller Acquisition Services. We can also help with your more sophisticated implementation needs that arise from the recommendations we develop in the initial assessment. These services include Contact Center Implementation Support (both in-house and outsourced models), Contact Center Set Up, Contact Center Multi-Site Consolidation, and Vendor Management. The ultimate goal of the CHCG approach is to create and execute a strategy that our clients can use to optimize their current contact center environment and enhance the Customer Experience. This includes Performance Management, Workforce Management and Sales & Marketing Once we help implement the necessary initiatives, we can assist with fine tuning and optimizing the new solutions. We also offer Executive Leadership Coaching to help optimize C-Level personnel performance in a way that positively impacts contact center operations and the customer experience.